Back to My Root | Just do it!! As I left Indonesia, I met people who wants to know about Indonesia. They sometime ask questions that I never think of when I was home. Being outside of my country, I have the opportunity to think more (thus I find that I need to read and know more about my own country and people). When I went to Japan, I had the opportunity to live with my friend’s family. They were so eager to know about the history of Indonesia, which I never think of before. Questions like: where are the Kings and Queens in old Indonesian kingdom? From whom does Indonesia free, Japanese or Dutch? How come Indonesia has the largest muslim community in the world? I love history when I was in school, so I was delightful to answer those question. I felt embarrased if I cant answer though, because it seems that I am ignorant of my own root. Then I also realize that I don’t jnow much about my tribe’s history, Javanese. I realiE that my history knowledge about Indonesia stopped after I finished highschool. I never tried to find out more or read more books. Japanese read books all the time. I feel like I need to knwo more about where I came from. 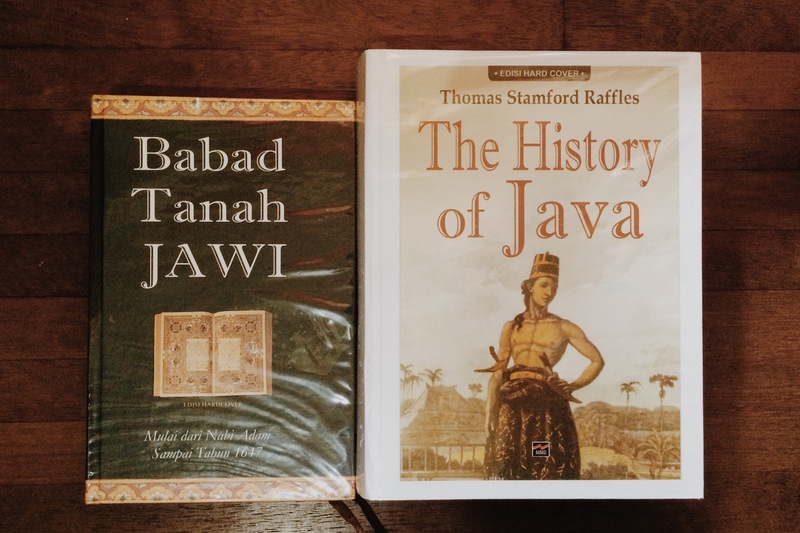 So when I went to the bookstore, I grab on two books: Babad tanah jawi, which is a compilation of Javanese history from Leiden and The history of Java, written by Thomas standford Raffles. Foto Visa harus lepas jilbab ? !